When police officers arrest high-profile sports figures for DUI, it always makes the news, whether the charges involve a DUI in Los Angeles or in some small Midwest town. A California Highway Patrol officer picked up Denver Nuggets point guard Ty Lawson on July 14th. Lawson, who was driving his white Mercedes north on the 101 freeway, displayed signs of intoxication, according to police reports. The cop booked Lawson into Los Angeles County Jail after charging him with DUI. This is Lawson’s second arrest for DUI in 2015 and the fourth during his professional football career. Jack Trudeau, who played quarterback for the Indianapolis Colts from 1986 until 1993, faces charges of operating while intoxicated. Police in Zionsville, Indiana, picked him up on Sunday, July 26th, and measured his blood alcohol content a .31—almost four times the legal limit. Police charged Marco Pappa, a midfielder for the Seattle Sounders soccer team, with suspicion of DUI and speeding after pulling him over in the early morning hours of Sunday, July 20th. Pappa had to take a playing time out; Major League Soccer bans players arrested for DUI from taking part in any matches until the league completes a substance abuse and behavioral health assessment. National Hockey League star Ryan O’Reilly may win the prize for the most noticeable spots DUI arrest in July. He crashed a 1951 vintage Chevrolet truck into the Tim Horton’s in Lucan, a township in Ontario, Canada. O’Reilly drove off, but police officers located his vehicle through the assistance of witnesses. Police charged him with impaired driving and leaving the scene of an accident. At least one sports figure managed to avoid a conviction on a DUI charge, however. 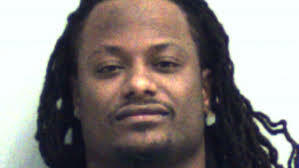 Tim Jennings, a Chicago Bear player, pleaded guilty to reckless driving and speeding charges in a January 7th incident. As part of the plea deal, prosecutors dropped the DUI charges against him.